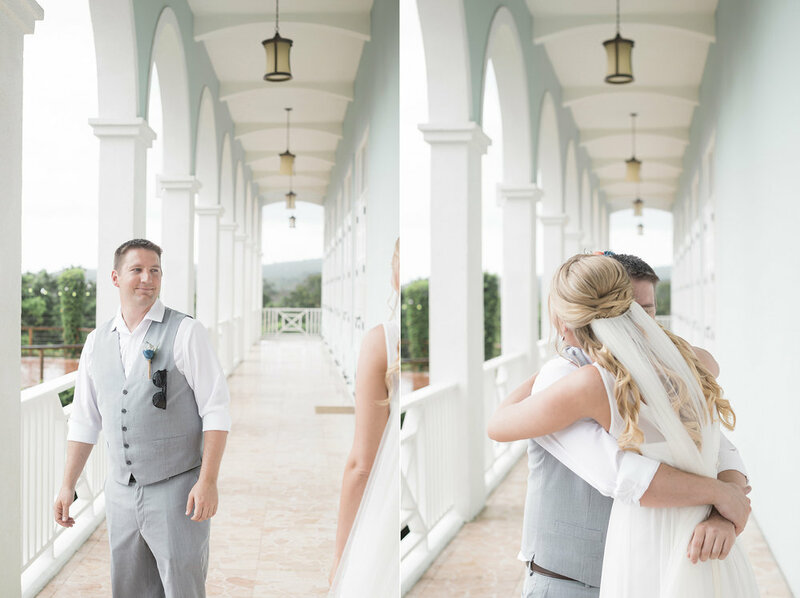 When Amber and Collin asked me if I would be willing to go to Jamaica with them for their destination wedding, my bags were packed and I was ready to go without a moment hesitation! I was so thankful for the opportunity to experience this wonderful moment in paradise with such a beautiful couple. Amber and Collin are amazing people inside and out and I am so happy to call them friends of mine now! Everything about their day was just as awesome as you could imagine a wedding in paradise could be. Even with cloudy skies and rain, the beauty of their wedding and the island are undeniable. I can never thank Amber and Collin enough for this opportunity and I'm so excited to show you a few images of their day below! Check out their great details, beautiful island views and Amber's wooden flowers...yes, wooden! Are you having a destination wedding? My bags are packed and I'm ready to go -- let's talk!